All California state courts; Alaska (pro hoc); various U.S. District Courts; U.S. Cout of Appeals, Ninth Circuit; U.S. Supreme Court. Rich has focused on management side employment and labor Law, with a special emphasis on representing research and institutions of higher education, as well as community impact and other complex organizations. After graduating from Stanford Law School, Rich joined the Gray Cary firm, and became a partner and Chair of that firm's employment law group. In 1998 Rich co-founded his own firm, Paul, Plevin, Sullivan & Connaughton, to continue focusing on private and public sector employment issues for California employers and matters affecting high tech, research, higher education and arts and other community organizations. Rich is a frequent lecturer on California and national employment law panels. 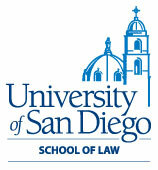 Since 1996 he has served as an adjunct professor of employment law at USD Law School, and has been a regular lecturer at UCSD and a visiting lecturer at other law schools. He has authored a dozen journal publications and countless articles and conference papers on employment-related topics. Rich has been named annually by his peers since 1987 as among "The Best Lawyers in America." 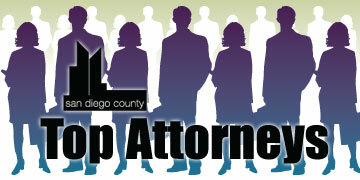 He has also been ranked among the "Best Lawyers in San Diego" (San Diego Magazine), "Best Employment Lawyers in San Diego" (The Daily Transcript), "San Diego Super Lawyers" (New York Times Supplement), "Best Labor and Employment Counsel in California" (Corporate Counsel Magazine), "Southern California Super Lawyers" (Los Angeles Times) and similar publications. In 2010 he was invited to become a fellow in the prestigious national College of Employment and Labor Lawyers (one of only four in San Diego), and in October, 2010 was named as the single “Best Labor and Employment” lawyer in San Diego by Best Lawyers. Member, Executive Board, Industrial Relations and Research Association (1984-1985); Board of Directors, The Turning Point (1984-1986); Advisory Board, San Diego State University College of Extended Studies (1988-1990); Consultant, American Electronics Association (Southern California Personnel Advisor, 1990-1991); Co-Founder and Chair (1991-1992) San Diego Business Counsel; San Diego Chamber of Commerce, Governmental Affairs Committee (1993-1995); Editorial Consultant, California Employer Alert (1995-); Board Member, San Diego Blood Bank Board of Directors (1997-; Secretary, 1999-2000; President, 2001-2002; emeritus, 2002-2003); UCSD Chancellor’s Associates (1997-); Campfire (2000-); Editorial Review Board, The California Employment Law Letter (2000-); Co-Chair, Annual Fund, Francis Parker School (2005-2007). Two passions have marked Rich’s non-laywer life: Music and the outdoors. In high school his band played with the Smothers Brothers and did other local gigs. Rich plays keyboards at various local events, and recently acted as lead negotiator for the San Diego Symphony in collective bargaining. While at Stanford Law School Rich discovered the high Sierra, leading to a lifelong love of the outdoors. He has walked most of the John Muir trail. In 1986 he discovered “lazy man’s backpacking” – also known as sea kayaking -- and has had a cabin in Alaska for 25 years from which to explore Glacier Bay and the Alaska wilderness. Rich’s son Andrew has outdone his dad, performing music of his own at SOMA and Cricket, and is a certified Alaska Wilderness guide and summertime back country ranger in the Sierra Nevada. Favorite personal writings: Author, 126 Things I Never Got Around to Telling You (2007) and Selected Poetry.